A splendid journey amongst nature, art and architecture: from Orotava Valley to Puerto de la Cruz, immersed in a timeless setting. We will begin our tour with a visit to Orotava Valley and the small city boasting the same name, built in the 15th century by some wealthy families who lived on the island. 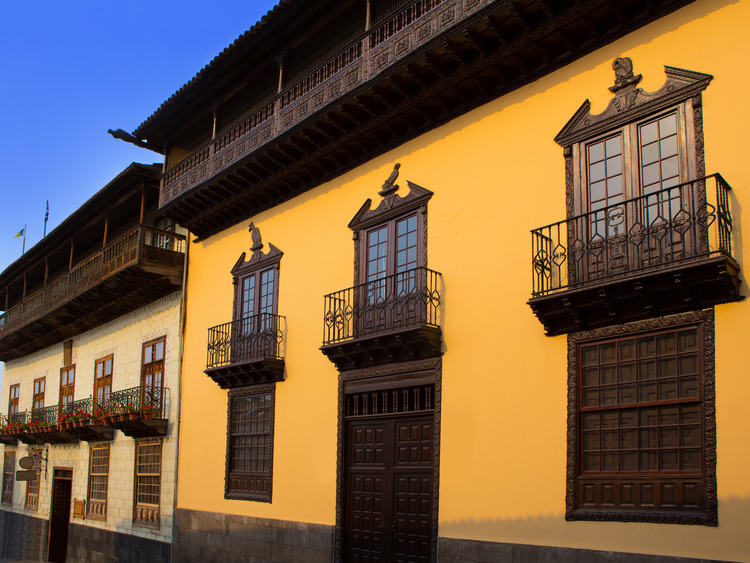 We will travel along the roads of the centre of La Orotava, where we can still admire remains of Medieval origins, until we reach the famous Casa de los Balcones, a typical example of aristocratic residencies on the Canary Islands, with long pine wood balconies often adorned with flowers, which, according to local tradition, serve as an actual façade, looking over the nearby road as a sort of architectural decoration. We will have some free time to buy unique, local handcrafted products and souvenirs. We will continue on our tour heading to the Botanical Gardens of Puerto de la Cruz, famous for its rich collection of exotic plants (4,000 species of tropical and subtropical plants) carefully cared for and which form part of the splendid setting, which do not fail to capture the attention of "green-fingered" visitors. The tour continues with a visit to the centre of Puerto de la Cruz, which is the main tourist location in the north of the island. The small town, which was originally a fishing village, is famous for its natural beauty and its beaches. However, there is also lots to see in the well preserved historic centre where residences boasting typical islander architecture stand. Amongst the must-see attractions, there are Lago Martianez natural pools, a complex created by the architect, Cesar Manrique and made of 7 artificial, seawater lakes, representing the 7 Canary Islands. Before returning to Santa Cruz de Tenerife, we have some free time for shopping.